"This will not come to the PAL markets this year," he told a Euro press conference in Santa Monica this week. "But Sir Howard Stringer has made the commitment that non-game will come to all regions in due course and it will. "The dates for video content will come later this year. For us, and I think you appreciate most of you Europeans, that local content is important, and that's what working on right now. 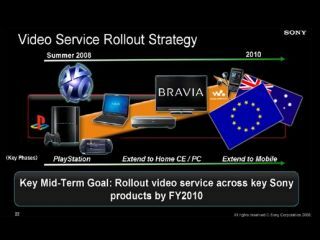 Ah well, at least we have Sony's PlayTV service to look forward to this year, in addition to Sky's recently launched Go!View service for PSP. We do have PlayTV to look forward to this year, don't we Sony? Sony? ?